We offer educational lectures TWICE a month. Would you like to become a member ? Your support helps us continue our educational programs ! ​Comparing current status of stock market topping action in the 45-year Saturn/Uranus cycle with the tops in two previous cycles since 1896. Susan graduated from the International Academy of Astrology in 2014, where she has lectured and teaches “Introduction to Financial Astrology.” She was a featured speaker at UAC 2018, “Commodities Are People, Too.” She is a member of ISAR, NCGR and Friends of Astrology. She also is Organizer of the Chicago Astrology Meetup Group. Her book, “Trading In Sync With Commodities—Introducing Astrology To Your Financial Toolbox,” was published in April 2018. Listening Deeply to Venus Venus is the 3rd brightest object in the sky and when you see her, you cannot help but be dazzled by her beauty. She has much to teach us not only about love and beauty but about manifesting our desires and how to let our inner passion create growth in our lives. In mid-May, Venus enters her home sign of Taurus. We will look at how this energy affects the other signs. We will also experience the Venus gong, an instrument tuned to the frequency of the planet. By listening deeply, we can open ourselves to new levels of wisdom within. Karen Tlusty-Rissman is a musician, astrologer, artist and celebrant of Spirit. Her practice is based on the belief that all beings on this planet are One and she brings this philosophy into all that she creates. She weaves the common threads from many Earth centered traditions as well as Reiki energy work and aromatherapy to provide participants with a direct connection to Spirit. She has played music for most of her life, playing Native American flute, concert flute, bass guitar, Tibetan singing bowls and the Venus gong. ​Karen currently leads a variety of meditation classes at various locations in the western suburbs of Chicago that combine aromatherapy, sound/music, visual art and/or guided meditation. Karen also performs with the band Something Different (somethingdifferent4u2.com) and teaches astrology, meditation and shamanic classes. She has facilitated sacred circles for over 30 years and has facilitated the Community Drum Circle in Lombard for eighteen years. She has held numerous ceremonies to honor life passages, seasonal transitions and for healing. The ancient mystical tradition known as the Kabbalah has had a long and lively interaction with astrology. What new perspectives can the Kabbalah tell us about astrology? Can Kabbalistic thought help people avoid traps that astrologers sometimes fall into? What does destiny--your true soul purpose--have to do with your fate as reflected in the stars? In an engaging and down-to-earth presentation, Richard Smoley will talk about these questions. Richard Smoley is the author of ten books on spirituality, philosophy, and religion. His next book, A Theology of Love, will be published in late 2019. His other works include Inner Christianity; Forbidden Faith: The Secret History of Gnosticism; and The Dice Game of Shiva: How Consciousness Creates the Universe. Formerly editor of Gnosis: A Journal of the Western Inner Traditions, Richard is now editor of Quest: Journal of the Theosophical Society in America. He lectures nationwide and has been featured on many YouTube videos. ​Annual Planetary Patterns are a "special feature". Our Vice president Joe Polise will present his take on 2019. Joseph Polise, C.A. NCGR, CMA. has been a consultant, writer, and teacher with astrology and Tarot since 1990, after having held jobs as a college teacher and high school workshop facilitator. He has presented at many national astrology conferences including NCGR, ISAR, and UAC. He is current Education Director for NCGR and Vice President of Chicago’s Friends of Astrology. Lin Ewing is a professional astrologer and Akashic Record reader in Chicago. She has been studying astrology for 50+ years and will continue to be a student until she expires. She has been reading the Akashic Records since 1996 and considers both astrology and the Akashic Records to be methods that help people move forward in life through guidance and a better understanding of themselves, their challenges and issues. Lin Ewing is the proprietor of Astrological Details. She writes astrology courses and teaches two beginning level courses as well as conducts workshops on various specific astrological topics. She can be reached at linewing@astrologicaldetails.com. Uranus will make its final passing through the sign of Aries, while joining forces with Mars. ​On February 13th, the Uranus/Mars conjunction is the last and final placement for the unexpected warrior planet. Its Retrograde period helped us reevaluate its chaotic behavior. The month of March 2019, Uranus makes its final move for the Home of Taurus. The next 7 years will be about building stability within past unstable circumstances. The bulk of this lecture will be a workshop giving you some predictive tools to find the focus within your own charts. I will teach you a method that will help you isolate how you can make this energy work for you. The Uranus/Mars Conjunction and the move into Taurus will be integrated into a more cohesive explanation. For those who would like to participate, provide your birth information for more guidance in the workshop. See the form below. Please Note: In my previous lecture from 2018, we spoke about the historic events of the previous 1934 transit. This lecture will include a brief talk about its initial move in May of 2018. With Famous chart examples. Now that we have experienced the 1st sample of Uranus in Taurus, we will have a better perception, for what is to be the focus. ​Pamela Kokott is the current Web Director for Friends of Astrology, Inc. and a member of The AstroInvestigators Research Group. She has studied Astrology since 1994 and prefers the methods of The American Federation of Astrology, Western Astrology, and the Placidus House system, with an emphasis on Astrological Research and Data Collection. She is known for her practical approach in reviewing astrological trends. ​This talk will explore the effects of station points--those periods when a planet slows down and changes direction--in both personal charts and through history. Drawing on numerous examples from both the entertainment and political fields, we'll see how stationary triggers can be among the most powerful (if underutilized) tools available to astrologers. ​Ray received a degree in filmmaking from the Art Institute of Chicago under experimental film pioneers Stan Brakhage and John Luther-Scofill. He has studied with various teachers in both the Kriya Yoga and Zen traditions, and in 1988 taught yoga at Canyon Ranch Resort in Tucson, Arizona. He's lectured extensively on the topics of astrology, synchronicity, and mythology, and maintains an active astrological practice with clients around the United States and abroad. Ray Grasse has been an astrologer for 40 years. He is associate editor of The Mountain Astrologer magazine, and is author of several books including "Under a Sacred Sky," The Waking Dream," and "An Infinity of Gods." This Talk will focus on the ancient constellation Scorpio and its associated attributes that include those of Ophiuchus (Serpentarius) and Serpens, as well as Libra and Aquila. The lecture will include medieval star map figures, ancient Egyptian, Mesopotamian, and Greek images along with commentary on the attributes of the stars and how Scorpio came to hold the accumulated energies of four constellations. ​​Demetria Nanos is an astrologer, artist, divination practitioner, herbalist and college tutor. She has taught or facilitated workshops on the arts, Tarot, astrology divination techniques, gem lore, natural & wild foods, natural healing, mythology and ancient religions. Demetria is an ArchPriestess and Hierophant in the Fellowship of Isis, an international fellowship dedicated to the Divnine Feminine of every place and time. Demetria has given public talks over the last 20 plus years in regard to astrology, myth, ancient religion, philosophy and art. She has presented at the annual FOI Chicago Autumn Goddess Convention over the last twelve years, as well as at Alchemy Arts (Formerly Aurum Solis), the Occult Bookstore, Life Force Arts Center, Invocation II & III and numerous private gatherings as well as corporate conventions. This is a request for an Encore on Lynn's Progressed Declinations talk. She will explain the Lifetime at a Glance chart, showing Progressed Declinations, which delineates many of the stepping stones of your life. Lynn will point to the impact of working with Secondary Progressions to weave in another part of the story. And finally, we’ll funnel down to transits. Mystery charts will be used as examples. ​Lynn is well known in astrology circles in Chicago area; has taught classes in astrology, coached clients and spoken at professional astrology associations such as ISAR, NCGR and Friends of Astrology and most recently at ISAR 2009, UAC in 2008 and 2012. Midpoints are points of balance between planets, house cusp, asteroids and other chart factors. They are profound tools in astrological health diagnosis, giving clarity to the classic health conditions shown by planets, signs, and aspects. We will look at the planetary midpoints bodily systems including humoral, circulation, heart, kidneys, respiration, degeneration related to joints, injuries, and accidents, immune and wasting disorders, fertility and more. Bring a list of your mid-points, available on most astrological software programs including Solar Fire, Cosmic Patterns and Janus. Dawn Silver is a Naprapath, Astrologer, Crystal Healer and Herbalist. Her book, Jewels of the Lotus Tibetan Gemstone Oracle was the recipient of the international Visionary Arts Award. She has lectured internationally with her Jewels of the Lotus Crystal Healing Series certification program and has spoken at astrological associations such as NCGR, ISAR, FOA and SOTA, and for various nutritional symposiums, Light Workers, Global Pyramid and Crystal conventions. Dawn hails from Chicago, where she practices full time. Brian Allemana has been practicing astrology since 2012, having started his studies with Guy Spiro in 2007 and continuing with the school of Evolutionary Astrology as taught by Jeffrey Wolf Green. He is currently engaged in a mentorship with international astrologer and author Alan Oken. Brian has lectured several times at Life Force Arts Center in Chicago, has taught classes in Chicago, and has given a number of workshops in the suburbs and at his studio in Rogers Park. Jupiter, Saturn and the South Node will join Pluto in 2019-2020 at 21 - 25 degrees tropical Capricorn. This is near the Uranus-Neptune Conjunction in the mid 1990's augurs big business for those involved with New Age, Esotericism, Modern Mysticism which is us! Bring your chart! She wrote the horoscopes for Bloomberg News for 19 years. Her focus is mass psychology mood and trend forecasting. ​Would you like to lecture for The Friends of Astrology Inc. ? Web are now in the process of preparing our 2019 Schedule. May 11th, Oakbrook, Pamela Kokott, Uranus in Taurus, "Necessity is the Mother of Invention"
Uranus in Taurus "Necessity is the Mother of Invention"
With Uranus residing in Taurus, the home of Venus, sensuality returns. The Earth signs help reign in the unpredictable, volatile past transit of Uranus in Aries, by appealing to our basic needs and drives. We take the time to analyze the previous Uranus in Taurus period. Technology, Services, Institutions, Products, Food, Fashion and Hollywood tell us a great deal about the future. You will be amazed at the industrious nature of this transit. Products perfected in this time period, are still with us today because they filled a need. I will provide examples that will help you leave this lecture with a much better understanding of this energy. Our personal motivations and priorities change within the coming Transit of Uranus in Taurus. We compare and review the previous 1934 Uranus Ingress chart, with the 2018 Uranus Ingress chart. Our past priorities can help us understand our future needs. What areas are due for "practical innovation"? How will the transit impact the 12 astrological signs? How can YOU BENEFIT from this transit? Make sure to bring your Natal Chart ! Pamela Kokott is the current Web Director for Friends of Astrology, Inc. and a member of The AstroInvestigators Research Group. She has studied Astrology since 1994 and prefers the methods of The American Federation of Astrology, Western Astrology, and the Placidus House system, with an emphasis on Astrological Research and Data Collection. She is known for her practical approach in reviewing astrological trends. ​The natal horoscope chart of the Standard & Poor’s 500 index, a standard institutional measure of U.S. stock market performance, is beautifully tied to the charts for the United States and other stock index products by both planets and degree zones. Based on research for her new book, “Trading In Sync With Commodities—Introducing Astrology To Your Financial Toolbox,” financial astrologer Susan Gidel will discuss not only how the S&P 500 and other markets connect, but also the planetary transits that have triggered important highs and lows in the past. Handouts will be provided. Books will be available for purchase and signing. Susan graduated from the International Academy of Astrology in 2014, where she has lectured and teaches “Introduction to Financial Astrology.” She is a member of ISAR, NCGR and Friends of Astrology. She also is Organizer of the Chicago Astrology Meetup Group. Her book, “Trading In Sync With Commodities—Introducing Astrology To Your Financial Toolbox,” was published in April 2018. The subject of this lecture brings us back to the root of our discipline: the constellations and fixed stars and the important part these play in horoscope interpretation. In this talk we will explore the meaning of 15 major fixed stars and their constellations from a few separate vantage points. These include a synopsis of the history and philosophy of fixed stars as an astrological technique and practical definitions and applications of significant traditional stars and constellations. Several individual and event horoscopes will be presented. ​Joseph Polise, C.A. NCGR, CMA. has been a consultant, writer, and teacher with astrology and Tarot since 1990, after having held jobs as a college teacher and high school workshop facilitator. He has presented at many national astrology conferences including NCGR, ISAR, and UAC. He is current Education Director for NCGR and Vice President of Chicago’s Friends of Astrology. It is clear Solar Arc Directions evolved out of Primary Directions. Both systems seem to share the same principle: 1 degree for 1 year. Still, they are very different. In this lecture, we will review predictive techniques, compare these two kinds of Directions, combine them with other techniques for prediction as well as rectification, learn their history and put them into practical applications. The meeting will be focus on the interest of the audience. Covering many topics, Total Solar Eclipse of August 2017, transiting Uranus and Pluto, the Royal Wedding, current transits to the President's chart. Topics will be chosen based on audience attendance. Please bring a copy of your natal chart with current progressions. ​​Omari Martin, MAFM, PMAFA is President of the Friends of Astrology, Inc. and is a certified professional with the American Federation of Astrologers and has a level one certification with the NCGR - Professional Astrologers' Alliance. Throughout the late 1970s and 1980s Ray Grasse had a series of interactions with a little-known Kriya Yoga teacher and astrologer named Shelly Trimmer (1917-1996), a one-time student of Paramahansa Yogananda. As chronicled in Ray's latest book "An Infinity of Gods," their conversations included discussions about astrology, the afterlife, God, Yogananda, magic, and other topics. This talk will explore some of the highlights of those conversations, with a focus on Shelly’s striking astrological insights. Ray received a degree in filmmaking from the Art Institute of Chicago under experimental film pioneers Stan Brakhage and John Luther-Scofill. He has studied with various teachers in both the Kriya Yoga and Zen traditions, and in 1988 taught yoga at Canyon Ranch Resort in Tucson, Arizona. He's lectured extensively on the topics of astrology, synchronicity, and mythology, and maintains an active astrological practice with clients around the United States and abroad. ​The Moon is the key to accessing our Emotional Needs and Subconscious Minds and General Mood of The Day. The Lunar influence can make or break the best of us despite our conscious intentions. From this standpoint, long -time Professional Astrologer and Teacher, Dave Gunning, takes us through a journey through how he harnesses the lunar energies through the 12 sign cycle: Aries to Pisces. As usual, Dave will relate in his inimitable style easily applicable, yet eminently practical tips on making the most of your month using the potentials of the Zodiac: SIGN by SIGN . ​Bio: Dave went to the Chicago Academy of Fine Arts for two years before transferring to Columbia College in Chicago. He graduated in 1973 with a Bachelor of Arts degree, majoring in commercial art, and a minor in fine arts. Dave Gunning has been a professional astrologer since December of 1981. His consultations include interpretation of the birth chart and one year's look ahead into the future based on the transits and secondary progressions, including solar arc direct. Comparing two charts or synastry, along with teaching students six levels of astrology is also an important part of his practice. Dave has lectured for the National Council for Geocosmic Research (N.C.G.R. ), The Theosophical Society in Wheaton, Illinois, and “Friends of Astrology” in Oak Brook, Illinois, of which he was vice-president for eight years from 1999-2007. He has also published several articles for DELL HOROSCOPE magazine. Dave is currently teaching students at 2 different locations. “Stargazers” at " Theosophical Society", in Wheaton, 3rd Tuesday of the month from 7:00-9:00 P.M.
​Joe surveys the epochal worldview that shaped the cultural identity of the practicing Medieval astrologer, one rooted in the Neo Platonic " Great Chain of Being" -a comprehensive linking of the Divine to Mortal orders , to their system of horoscopic delineation and prediction which enabled them to chart the fate of mortal beings from " generation to corruption". ​Joe Simon, a student of the Medieval Islamic tradition, will attempt to explain the mind of the Medieval Astrologer, in the context of his time and place. In this period, all people knew they were surrounded by unseen forces. A central tenet of this traditional philosophy is that all things are known to be sacred -a miraculous sign of divinity. ​Case Studies in Electional Astrology. ​Electional Astrology is the astrological art of charting the most advantageous time to begin important life endeavors and support the client in steering these events toward positive , successful outcomes. In this presentation, FOA President, Omari Martin will share some Electional charts from his practice. In this context, Omari highlights his experience of why certain traditional electional rules "work" and also some that do not "work" or may be used differently than the texbooks dictate, surprising those who uncritically view Electional Astrology as a set of inflexible guidlines. For instance, Omari shows why electional squares are not necessarily undesirable and how the Moon "Void of Course" periods can be used to good advantage in some matters! The charts will feature these and other planetary timing factors. ​Omari Martin, MAFM, PMAFA is President of the Friends of Astrology, Inc. and is a certified professional with the American Federation of Astrologers and has a level one certification with the NCGR - Professional Astrologers' Alliance. ​Modern astrology tends to focus on aspect patterns, while it's medieval predecessor focused on the houses in the areas of life governed by them. We will learn some basics of interpretation of a house using the tool of essential dignities and derived houses. This will open up an entirely new way of looking at the chart! Alan Salmi is a psychotherapist and student of classical astrology under Robert Zoller. ​His progressed full moon almost killed him two years ago, but he's happy to have survived it to continue to lecture. Joe Polise is certified astrological consultant/ teacher who remains an eager student of the metaphysical truths astrology reveals. Working with client charts he uses an effective blend of both the traditional and modern astrological techniques. He has served the community as an NCGR-PAA examiner, Education Director for NI-NCGR, and VP of Chicago's Friends of Astrology, and has taught seminars for many regional astrology groups and large conferences in the U.S.
​Christine Arens is certified as both a Professional and Teaching astrologer through the AFA, and holds a Level-III certification through NCGR. She has over 40 years of experience in astrology and has been actively consulting and teaching since the early 1990s. She has served as the President of the Chicago-based Friends of Astrology since 1993, and is currently a member of the Board of Directors of both the AFA and Kepler College. ​​If you have an accurate time of birth, you can forecast important Stepping Stones of your life using progressed declinations. With this chart, you can also understand your life by looking backwards. Mystery charts will be used as examples. ​John is a well-known professional astrologer and consultant in the Chicago and surrounding areas. 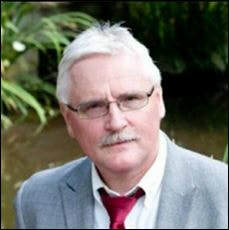 John is at ease with the technical aspects of astrology and can discuss and present any topic with new insight. He always brings us new information and things to think about and learn. ​The 10th House cusp or Midheaven (MC) is considered the indicator of one's vocation or "career" in life (as well as social standing). While the elements of the MC are very important in indicating vocation/career, there are many other indicators of what a person is best suited to for happiness and success. We will look at the houses of substance (2, 6, 10) as well as their rulers in terms of elements, qualities and house placements and their aspects in order to understand how to arrive at an ideal vocational choice for an individual and we will understand why. ​So what do Amy Winehouse, Kurt Cobain, Brian Jones, Janis Joplin, Jimi Hendrix, Jim Morrison and about 40 known others all have in common? They are part of the infamous“27 Club” or in the words of astrology the first lunar return club. The “27 club” is a well documented group of wild creative geniuses who left this planet at the same age. The progressed moon comes home to its natal position about age 27 to 28 and is a time for re-connection with the self. Consider it like an upward spiraling in experience and emotional maturity as opposed to just circling around again. It is an opportunity to re-assess your core desires and tune in to what is important to you. This cycle is followed by the first Saturn return regarded as the major transit cycle that ushers us into adulthood. For those born with Saturn and the moon in a tight aspect, particularly the conjunction, the phenomena of Moon chasing Saturn sets up a pattern that can last four years to a lifetime. In this lecture we shall take a look into some famous cases and how it manifested for them. 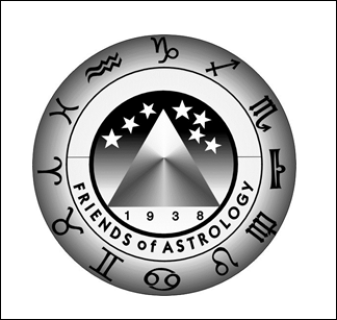 ​Dawn Silver is an FOA member and frequent lecturer on astrology and healing. She is the author of the Jewels of the Lotus Tibetan Gemstone Oracle, recipient of the Visionary Arts Award. BRING YOUR NATAL CHART ! We are fortunate to have an evening lecture occur within hours of this eclipse. Dave will highlight the major themes of this February 10th Lunar Eclipse using the 7 Degree Gemini Rising U.S. Chart. He will briefly talk about this conjunction, and what it means for the country. Those people willing to volunteer their chart will receive a brief interpretation of what it means. Dave will do his best to offer some possibilities, of How this eclipse will impact YOU ? QUESTIONS ARE WELCOME ! Bio: Dave went to the Chicago Academy of Fine Arts for two years before transferring to Columbia College in Chicago. He graduated in 1973 with a Bachelor of Arts degree, majoring in commercial art, and a minor in fine arts. Dave Gunning has been a professional astrologer since December of 1981. His consultations include interpretation of the birth chart and one year's look ahead into the future based on the transits and secondary progressions, including solar arc direct. Comparing two charts or synastry, along with teaching students six levels of astrology is also an important part of his practice. Dave has lectured for the National Council for Geocosmic Research (N.C.G.R. ), The Theosophical Society in Wheaton, Illinois, and “Friends of Astrology” in Oak Brook, Illinois, of which he was vice-president for eight years from 1999-2007. He has also published several articles for DELL HOROSCOPE magazine. Since 2010 Dave has been teaching students and lecturing at the Theosophical Society, in Wheaton. He has formed a group there called “Stargazers” which meets on the third Wednesday of the month from 7:00-9:00 pm. Dave also formed "Skywatchers" at "The Gathering Lighthouse" in Lombard, which meets the first Thursday of every month from 6:30-8:30 pm. The presentation will provide an overview to European Geomancy as developed by Cornelius Agrippa and others. The European version of the system, which is fundamentally astrological, divines by means of lines, figures or dots on the earth or on paper. David Steven Rappoport has studied and worked with occult systems for many years and is active in local occult organizations. David is the author of two plays produced Off-Broadway, and has also written for radio and television. His novel, Husbands and Lap Dogs Breathe Their Last, was published by Mainly Murder Press. His short story, Leftovers, was a winner of the Mystery Times 2015 competition, and is featured in an anthology of winning stories from Buddhapuss Ink. He is a graduate of the Master of Fine Arts: Creative Writing program at Goddard College. David lives in Chicago.